B-CC’s new, state-of-the-art language lab is the first in Montgomery County public high schools. Teachers direct students at 32 work stations, each equipped with a flat-screen monitor and headset. It was Principal Katy Harvey and the faculty’s top priority for the school in 2003. Teachers Ivan Teelucksingh, Ann Hengerer, Beth Groeneman, and Melissa Magistro identified the educational need, helped research equipment options, and worked to ensure that the lab was designed to enhance B-CC’s language programs. 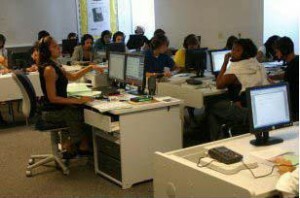 The B-CC High School Educational Foundation made funding the language lab its priority in FY2004. With help from B-CC parents, Jil Sneider and Lucy Swartz, as well as community leaders, most notably Robby Brewer and Carol Trawick, the Foundation raised $75,000 to make the lab a reality. Hundreds of B-CC parents, future parents, grandparents, friends, faculty, and alumni generously responded to our requests for individual donations. Area foundations, businesses, and B-CC High School student organizations helped put us over the top. 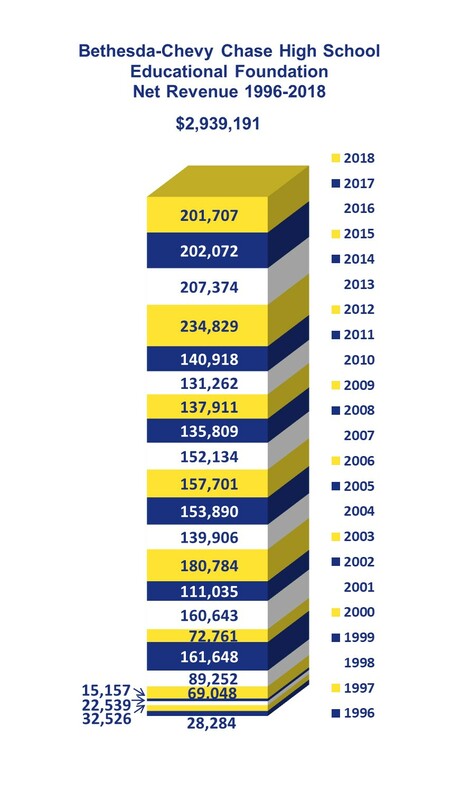 Ninety percent of B-CC’s students study at least one foreign language; many study two. In addition, the ESOL Department has about 80 to 100 students from more than 50 countries each year. Before the lab, students hardly had any time to speak for more than a few seconds in their language classes. Now students can perform oral drills with self-recording, hear voice playback, and practice conversations with each other. The lab also offers teachers the ability to create individualized lesson plans, to provide differentiated instruction, and to test oral comprehension more effectively and efficiently. “With the lab, we have to talk more; we’re having many more discussions with each other, and you can hear the accents better,” said Kimberly Faure, a French Level 6 student.